Because the only thing better than a burger is a second, cheaper burger. There was a time when you couldn't move in Shanghai without bumping into either an architect or a burger deal. Monday nights were dedicated to meat patties and people lined up like ants to get at the deals. In the past few years, the burger night craze has died down, but it still has a hold on Shanghai's imagination, as our list, carefully griddled and smashed into a perfect, salty medium-rare, shows. There are deals from chains and deals from independent restaurants, deals that go all day and deals that last less than three hours. We called, visited and pounded burgers for a week to make this, the definitive list of burger deals, circa the end days of 2018. Beef & Liberty makes a statement burger. The British-owned chain has a perfectionist personality, and eschews trivialities like lettuce, onion and tomato and replaces Heinz ketchup with fancy-pants Tiptree ketchup, all in service of finding the perfect minimalist beef patty. Apart from their signature cheeseburger (99 rmb), they have inventive variations like a black pepper burger (102 rmb), and killer sweet potato fries (42 rmb). Blue Frog is a homegrown chain done good, kind of like T.G.I.Friday's in its approach, with a little bit of everything for everybody. Their original fame, however, came from their tall burgers and burger nights, which continue on every Monday. Options include the Classic Beef Burger (78rmb) and the Mexican Jalapeno Beef Burger (88rmb), alongside a Four Cheese Cheeseburger (98rmb). Fat Cow subscribes to the Bigger is Better theory when it comes to their burgers, making them more of an American-style burger shop. Their punny menu holds all kinds of nouveau, unclassic burgers, like an avocado, crispy bacon, mushroom and gouda burger with lime yogurt (The Avocowdo, 88rmb), or a Greek-style burger with feta cheese, cucumber and mint yogurt and olive tapenade (My Big Fat Cow Wedding, 83rmb). They also have a store in Hongqiao. Ah, Boxing Cat, one of the earliest craft breweries in Shanghai, and now, after being acquired by ABInBev, certainly the most successful. 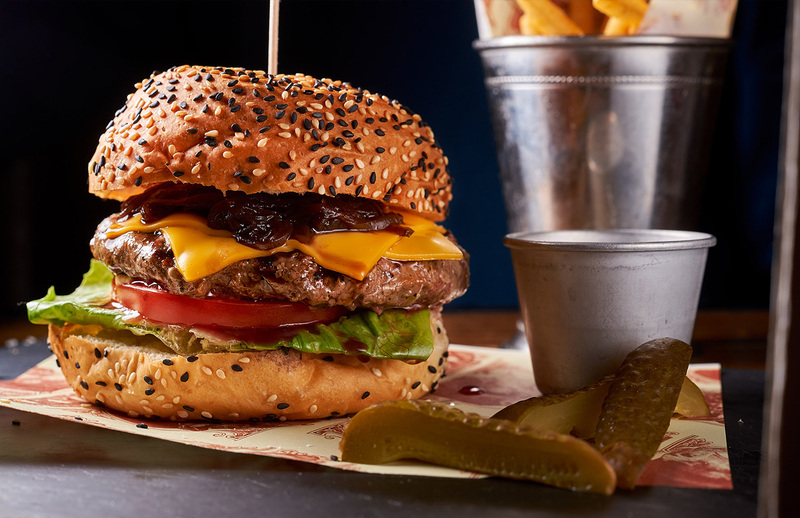 Since the sale, they have undergone a transformation of sorts, adding frou-frou items like truffled bone marrow to the menu, but have wisely kept that all-American favorite, the Classic Burger with cheddar cheese, pickles, fresh onions, lettuce and tomato (78rmb). The Sinan Mansions store remains traditional. 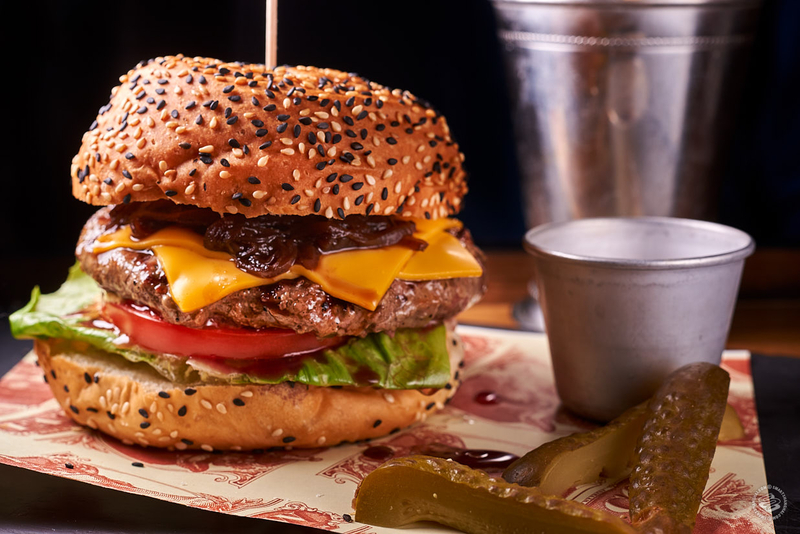 Bistro Burger leans towards the upscale burger joint end of things, and has been a staple of Shanghai's burger landscape for the better part of a decade. 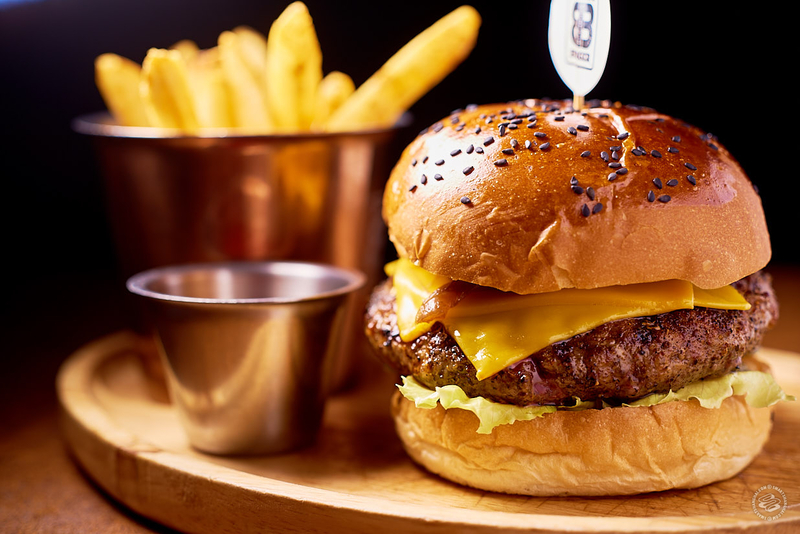 Their menu has two classics and then spins on the burger formula like the 158rmb truffle and brie burger or an Argentine Gaucho beef burger with beef patties, cheddar and mozzarella cheese, chorizo and chimmichurri (88rmb). Craft brewery with a touch of style, offering things like the Big Kahuna Burger (95rmb) with pineapple, bacon, cheddar cheese and egg, and the Inferno Burger (92rmb) with beef chili and jalapenos as well as options to build your own burger, from 75rmb for a beef patty plus the cost of toppings. Also a branch out west. 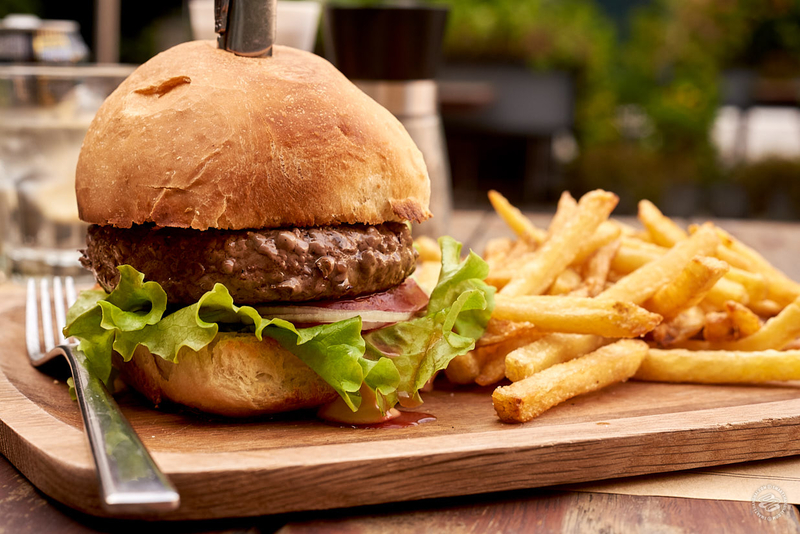 Must Grill focuses on meats, burgers and red wine, with a dark wood décor and a nice glassed-in patio for the winter. 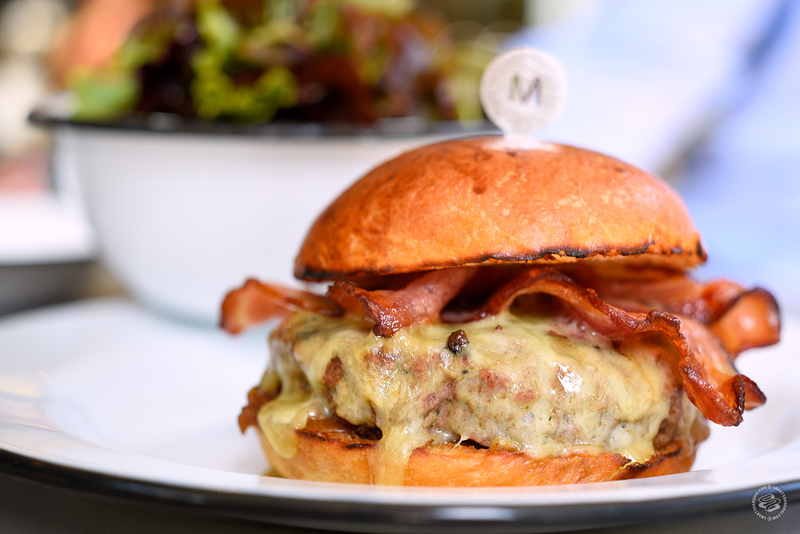 Burgers come topped with creative ingredients like salsa, foie gras, fried goat cheese and chili peppers. Long-running Australian sports bar The Camel does a respectable burger, with a decent patty and several options to choose from, including an Aussie Burger (90rmb) with bacon, beetroot, cheese and a fried egg, and a very cheesy Blue Cheese Burger (95rmb) with bacon, and the option to double up and burger with an extra patty for 25rmb. 1) Blue Frog has gone WAY down hill in quality since their original foreign owner sold it to locals. Their burgers are no longer "tall", their milkshakes are like water, and they discontinued their veggie burgers. 2) Fat Cow is pretty good (though the size of their burgers fluctuates) and has a cozy venue, but their pathetic fries look like fried worms! 3) Bistro Burger has declined in quality and service ever since their miscalculated attempt at an expansion. They need to win back their old customers by improving their food and prices. 4) Where is Al's Diner on this list? They have a yummy menu and a fun little ice-cream-parlor-style venue. 5) Habit Burger Grill really needs to be put on the Shanghai burger map; HUGE burgers and sandwiches, thick shakes and fat fries at fast-food prices, plus a free jalapeno bar. Suggest updating this list to reflect these points. are any of these restaurants offering veggie burgers?